At Sports Cards Plus, you always get more. 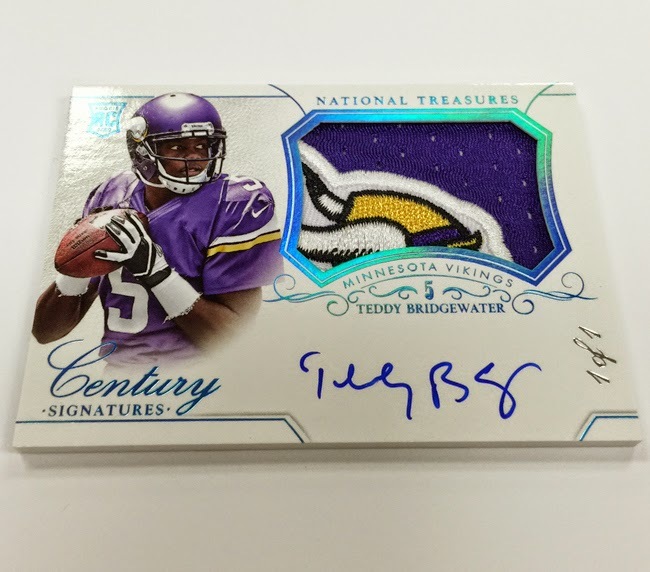 We are holding a 2014 National Treasures Football Box Group Break (8 spots - $59.95 each) TODAY (Saturday) at 5:00. Every $59.95 entry gets one RANDOM Spot for a Random Card from a Factory Sealed Box. We will use random.com to randomize all entries. Random entry #1 gets card one (in order from top to bottom in box). Random entry #2 gets card two and so on. Most boxes have 10 cards. In this case, random entry #1 gets card one and card nine. Random entry #2 gets card two and card 10, and so on until are cards from box are assigned. HERE is where we give you more. Every entry gets a FREE pull from our box of tickets. You match the numbers on the your ticket to our list of winning tickets. 10 tickets will read "Your Next Group Break Spot is FREE." And, you get a FREE $100.00 Entry to our Quarterly $500.00 Drawing. 1 ticket will read "One of Ten Entries to our $1000.00 Drawing. Once all Ten Entries are pulled we will hold the $1000.00 Drawing good for anything in our store. When you pull a $1000.00 Drawing Entry, you also get Your Next Group Break Spot FREE and you get a Free $100.00 Entry to our Quarterly $500.00 Drawing. All other tickets get a FREE $100.00 Entry to our Quarterly $500.00 Drawing. So what are you waiting for? Don't be the guy who says, "That could have been my picture." Go to Sports Cards Plus, a.k.a. The Super Hit Factory TODAY and have some fun.